Former President Olusegun Obasanjo, on Monday attributed the slow rate of infrastructure development in Nigeria to lack of synergy between public and the private sector. Obasanjo, who was the Chairman of the 2017 Annual Seminar of Kaduna Chamber of Commerce, Industry, Mines and Agriculture [KADCCIMA], said the Nigerian government had over the years paid very little attention to the private sector. According to him, it is important to develop deep synergy between the two in order to tackle the wide infrastructure deficit in the country and accelerate national development. The former president explained that the relationship had not been productive because for some time, the public sector regard those in the private sector as “parasites”, who reap from what they did not saw and only interested in making profit. He noted that the theme of the seminar, `Promoting Public/Private Partnership, as a Panacea for Accelerated Growth and Development’, stressed the need for the government and private sector to work together for the common good of the country. Obasanjo noted that the engagement of more people from the private sector in government is helping to encourage a more robust relationship. He said that for the country to experience any serious development, it must view the public and private sector as two legs necessary for the country to move forward. “Nothing would work if the emphasis is on the public or private sector, there must be synergy between the two for reasonable growth,” he said. The former president also blamed the country’s retrogressive growth to poor leadership. “We are not there, is a fraction of leadership. We are where we are not because of God’s design, given our human and natural resources, but because of bad leadership that could not put the resources to good use. “The countries that are better than us today are better because they are committed, focused and understands what it takes to develop. 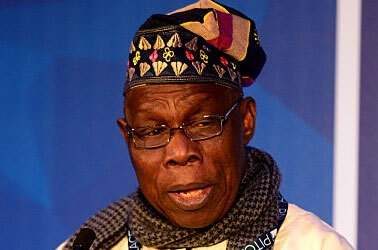 “Until we get the problem of leadership right, we will not go anywhere,” Obasanjo said. On his part, the Guest Speaker, Dr Shamsudeen Usman, a former minister of finance, noted that the country has a huge infrastructural gap. Usman, in a paper, “Promoting Public Private Partnership As a Panacea for Accelerated Growth and Development” said the country need foreign capital and expertise to supplement the resources that the country can afford to generate. He described the Public/Private Partnership (PPP) as a crucial tool in addressing the infrastructural gap in the country, adding however, that its potential has not been fully tapped. Usman gave example of countries like India, Malaysia and South Africa among other countries that successfully deployed PPP to achieve accelerated socio-economic growth and development. He identified the problems of politics, absence of strong legal framework, inconsistency in policy implementation, lack of clear goals and coordinations as hindrances to Nigerians ability to tap the benefits of PPP. According to him, the country’s legal framework and budgetary approval processes must be review for PPP to work efficiently in the country. “Similarly, there is the need for high political support, post transaction monitoring and evaluation, alternative dispute resolution mechanism to ensure smooth operation of the PPP strategy, ” he added. Earlier, the President of the KADCCIMA, Dr Muheeba Dankaka explained that the theme was chosen to highlight the need for collaboration between the public and private sector to enhance the business environment through massive infrastructure development. “The PPP, if well tapped could maintain and sustain the productive and manufacturing sectors, which would in turn ensure equitable distribution of wealth. “To achieve this, government and the private sector must work together”.